In a first-of-its-kind initiative, two Delhi-based environmental conservation organisations have created a tree map on which they have represented 59 key species of trees in the capital. 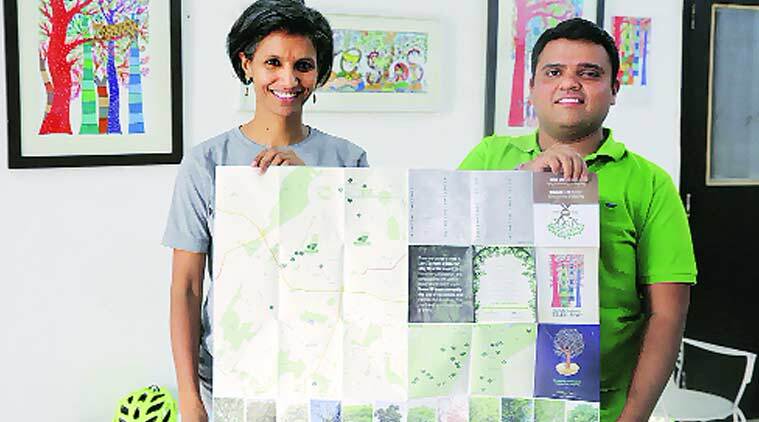 According to Chhaya Bhanti of Vertiver and Swapan Mehra of Iora Ecological Solutions, leaders of the two companies behind the ‘Delhi Landmark Tree Map’, “In order to conserve, we have to make the invisible visible and begin with measurability”. They added that the map brings to people a “new experiential learning tool to understand and explore a variety of trees”, each one of which has been selected as a representation of the key species that dot the city’s green cover. The map was created through consultations with senior forest officers of Delhi, who helped to identify the locations. These were then spatially tagged and mapped on a Delhi city map using GPS surveys. According to Swapan, there are more than 200 different species of trees in Delhi but the map showcases 59 of the healthiest specimens. The team is also working to make the map digitally available through their upcoming forest app platforms. Asked about their distribution goals for the map, the two said, “If this map is tied to tourism maps in the city, it can go a long way in improving eco-tourism in Delhi. This, in turn, will play a major role in increasing awareness of our city’s ecology and heighten public interest in conservation. We also want the map to be made available as an education tool in schools.